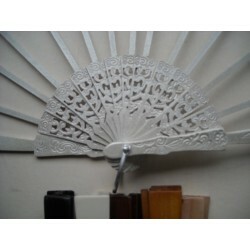 Big handfan size 95 x 50 cms .Natural wooden and textil white. 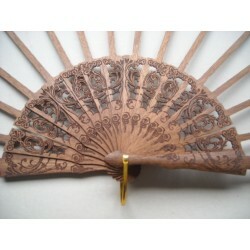 Ribs fans in tropical wood. Size closed 10.4 X 25 CMS . Polish ,carving and mother of pearl . 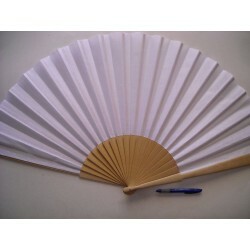 Hand fans printed with monuments city.Please give us your monument by email and we make your fan. 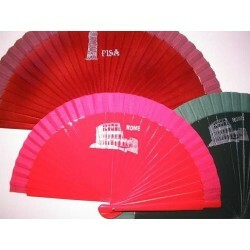 since 300 pcs. 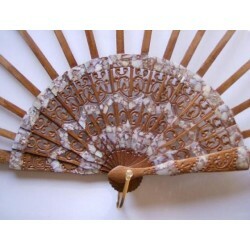 wooden hand fan size 19 x 36 cms. 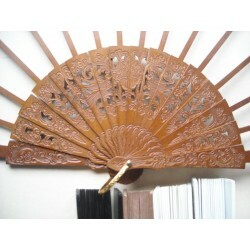 Ribs fans tropical wood. Size closed 25cms. 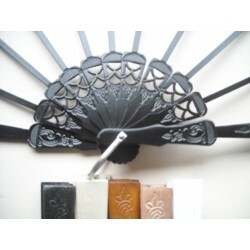 Polish and carving wood.